If, beyond a certain degree of complexity, the performance of a machine could not be predicted from a knowledge of its elementary parts, as proved to be the case with DAMS, then one would have to abandon the modern engineering paradigm of knowledge-based design in favor of evolutionary tinkering—messing around with the configuration of DAMS and retaining any steps in the desired direction. This is a design philosophy orientated towards an esoteric class of projects in electrical engineering. But it also conveys an epistemic libertarianism, in which the impulse to build projects around established knowledge is suspended in order to create the space for exploration. It’s not a dismissal of existing knowledge and practice, only a reduction of its role to that of direction finder rather than final arbiter of epistemic legitimacy. It left me thinking about the temporal conditions in which this epistemic libertarianism can flourish. Not only might it take more time, in the sense that it will be as conducive to missteps as to advancements, it also comes to look suspicious to any managerial techniques which asks people to account for their time. In both senses, the accelerated academy entails a subtle epistemological conservatism and chips away at the space in which which this exploratory work could take place. My notes on Nash, K. (2018). Neo-liberalisation, universities and the values of bureaucracy. The Sociological Review, 0038026118754780. For Waters this is not necessarily a good thing, as collegiality brings closure i.e.the protection of insiders over outsiders, the defence of existing status against threats to it. This can make it appear to be a form of resistance to marketisation, but the intersection of the two can exasperate their existing problems e.g. superstar academics being able to exercise academic autonomy in a collegial mode, while others are left behind to aspire to collegial status (if I understand Nash’s point correctly). The fact that corporatism has displaced collegiality, to use McGettigan’s phase, doesn’t mean collegiality is a solution to the problem of corporatism. Even if the rise of audit culture and end of contractual tenure have dented academic autonomy, there is still an entrenched expectation that we “should be free to research, to publish and to teach ‘the truth’, however inconvenient or troublesome for university administrators, governments and civil servants, without fear of losing our jobs”. It has the associated expectation that we will develop this by “reading widely, with curiosity, developing capacities to think through different meanings of concepts, challenge fundamental assumptions, and design and use systematic methodologies, as well as to uncover facts through scholarship and empirical research” (182). Meeting this expectation requires temporal autonomy in relation to free time in which nothing is being produced that can easily be registered. Socialising bureaucracy regularises collegiality in that it helps academ- ics communicate what counts as good teaching and learning, what counts as research and learning that is of academic merit, and what assumptions and biases should not be allowed to make a difference in these judgements. It regulates collegiality in that documents and procedures help set limits on academics’ discretionary judgements. (185). Against an exclusive focus on marketisation as a threat to education, Nash reminds us of those cases where professional power threatens it e.g. academics act in ways that serve their own private interests rather than those of education. The first example she gives is formalisation of equal treatment where mechanisms ensure staff and students are assessed on the relevant grounds of academic performance and other criteria are excluded. The contractualisation of learning formalises the reciprocal expectations placed upon teachers and learners, mechanisms ensuring both parties have a working understanding of how the interaction will proceed. Socialising bureaucracy in this sense mitigates the pathologies of both collegiality and marketisation. Recognising the critiques which see these mechanisms as killing spontaneity and charisma, Nash asks how we could otherwise secure the value for teaching and learning for everyone in a mass higher education system which has expanded dramatically over recent decades? Nonetheless distinguishing marketing bureaucracy from socialising bureaucracy is difficult in practice. Both can contribute to the intensification of work and be experienced as destructive of autonomy. Furthermore, one kind of bureaucracy can stimulate the other. It strikes me that social media is part of this grey area but it also something through which much of the gray area is inflected i.e. it is an expectation in itself but also a way of undertaking these other activities. To use an example I talk about a lot: if social media makes it quicker to publicise seminars and conferences then why do we constantly assume it will be a net drain on our time? This seems like the theoretical framework I’ve been looking for to help make sense of the institutionalisation of social media within the university. I can’t remember when the notion of concept wrangler first occurred to me. I meant it semi-jokingly but the idea of a role in which one would round up, herd or take charge of concepts had a distinctive appeal. It helped articulate a transition in my own intellectual career, as I ceased to see myself as a social theorist despite this being what I was trained to do. Objectively I wasn’t a social theorist, subjectively I didn’t want to be one and yet it was difficult to articulate exactly what it was I was and wanted to be. As of 2009, half of the dissertations ever written in the history of American academia had been written after 1982, and a third of them since 1995. It is not clear whether output per scholar has increased much, but when the typical discipline numbers ten thousand or more persons, even the old output rates mean that sheer quantity overwhelms us. He makes the fascinating observation that the “number of references in a typical sociology article has gone up by a factor of two in the last forty years” yet less than 10% of those are for a single page or a specified range in a cited source, as opposed to a figure of two thirds sixty years ago. Formal interconnectedness might have increased but the substance of those connections is evaporating. This produces a terrain in which concept wrangling ought to be a specialised activity, as opposed to being something which everyone does in the normal course of their activity. To be a concept wrangler is to be drawn towards the space of review essays, panel discussions and think pieces. It involves finding new ways to engage in meta-reflection. It sometimes involves locating old things and at other times involves being sceptical about new things. It can involve loud interventions, sometimes quiet reflection. It involves reading widely while also recognising the limits of one’s own reading. It necessitates drawing on short-form sources in order to make it possible to engage with ideas vastly far from one’s own starting point, while remaining clear about the limits of one’s own expertise. It involves curiosity and creativity. Most of all it involves charity, reading things in the spirit of understanding what someone is trying to say and relate it to what others have already said, rather than to prove a point. To be a concept wrangler is a gentle yet energetic pursuit and I’d much rather be one than a social theorist. It links with preceding events in Accelerated Academy, an international interdisciplinary network assembled to develop new approaches to the analysis of higher education around critical interrogation of the concept of ‘acceleration’. 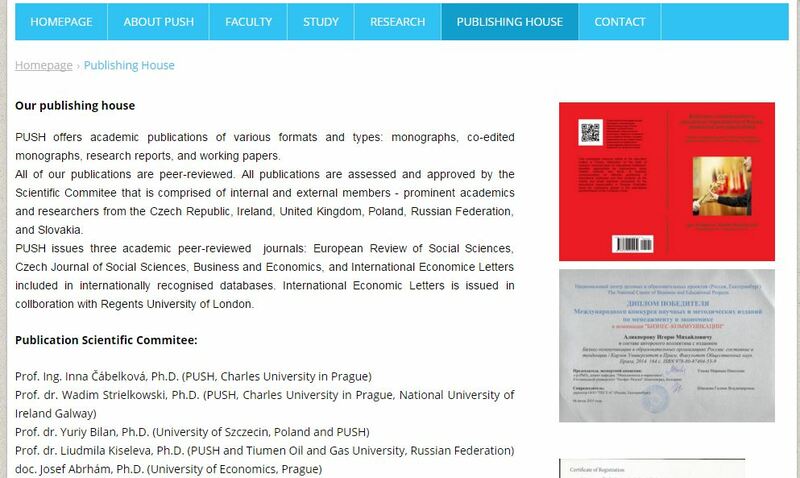 The first event (Prague, December 2015) focused on metricisation and power in the academy; the second, smaller symposium (Warwick, September 2016), was dedicated to theories and experiences of anxiety and work in relation to acceleration; the third (Leiden, December 2016) to the politics and sociology of evaluation in universities; the fourth (Prague, May 2018) explored academic timescapes and the challenges posed by their complexity; the fifth (Cambridge, June 2018) reflected on the role of agency in the transformation of the academy. This conference engages with and responds to the growing interest in scholarship on trans- and post-humanism, and its impact on understanding change in the context of knowledge production. It also has wider theoretical significance, as the intellectual dichotomy of the human and non-human is confronted in any attempt to understand socio-technical changes unfolding in digital(ised) capitalism. In this sense, we aim to address broader questions of social ontology and explanatory methodology posed by the imbrication of the social and the technical, and, not less importantly, the questions this raises for conceptualising agency and resistance in the ‘accelerated’ academy. We invite contributions for 30 minute talks which speak to any of these themes. If you would like to submit a proposal then please contact mac228@cam.ac.uk with a 500 word abstract and short biographical note by 10th October. There will be no charge to attend the conference. If you would like to attend as a non-speaker then please e-mail the address above to be added to the list. What does the case of Jeffery Sachs tell us about the accelerated academy? Day after day, without pausing for air, it seemed, Sachs was making one speech after another, as many as three in one day. At the same time he lobbied heads of state, testified before Congress, held press conferences, attended symposiums, advised government officials and legislators, participated in panel discussions, gave interviews, published papers in academic journals, wrote opinion pieces for newspapers and magazines, and sought out anyone, anyone at all, who might help him spread the word. The only time he seemed to slow down was when he was sleeping, never more than four or five hours a night. For anyone interested in Sachs, this is a fascinating book looking at his politics throughout his career, speculating about how his early failures as the architect of neoliberal shock therapy might have motivated his later turn to developmental economics. What interests me here however is what his life says about the possibilities of academic labour. He was tenured at the age of 28, published hundreds of journal articles and has been cited 118,231 times. He has published 9 books, a number of which were New York Times best sellers. He has raised tens of millions of dollars of research funding, as well as hundreds of millions in funding for projects based on his research. He writes endless op-eds in high profile publications and has 257,00 Twitter followers. He is the limit condition for what Liz Morrish calls The Trump Academic, anchoring the horizon of possibilities an upwardly mobile aspiring thought leader (or what Linsey McGoey calls a TED Head) confronts at the start of their academic career. The co-ordinates of what Drezner calls the marketplace of ideas and the possibilities for academics to participate are expressed in the trajectory of Sachs, as well as the trail he has left behind him. What sort of scaffolding is necessary to enable this pace of activity? How much of the funding he receives goes on keeping the Sachs show on the road? When does he have time to think? He is the counter-point to the familiar stress of those running through the academic year in order to carve out time to think over the summer without interruption. I confess a prurient fascination with the working routines of people like Sachs because they seem to repudiate the notion that thought requires withdrawal from the world, even if we can make the argument that the single-minded devotion of Sachs to his cause at any moment suggests there is at least a certain kind of thought he rarely engages in. But if he is the apotheosis of a worldly scholarship, always on the move and always seeking ways to implement his ideas, it surely cautions us against an uncritical embrace of such an orientation towards the scholarly vocation. What does it mean to write? For a long time, it carried a sense of total immersion for me, letting the world recede in order to lose yourself in the production of a text. This is ‘binge writing’ and it was my standard mode for the six years I spent doing a part-time PhD. I wrote my first paper in a weekend. I wrote my first chapter in a couple of days. I wrote a disturbingly large amount of the thesis in the final few months. Without preparation, it is not possible to write like this. The thoughts have to germinate, ideas have to take shape before words can flow in this way. Binge writing entails a form of life, incorporating an orientation to continuous thinking as well as extended periods of time for writing intensively. It is demanding on a number of levels and it is something I have found decreasingly possible since then. Under these conditions, it is as if writing works through you. I’ve sometimes written as much as 4000 words in a day like this, often good words requiring minimal editing. It is physically and mentally draining but at no point do I find myself grasping for words. They flow until they do not anymore. Then I feel satisfied in the awareness that the idea which had welled up within me have been expressed onto the page and I move on from them. This is slow scholarship, even if the act of writing is intensified. It rests on synchronising your creative rhythms and your working routines, requiring a great deal of flexibility for it to operate. It isn’t simply a matter of autonomy because it necessitates being free from the constraints of your own choices, able to set aside time for intensive writing even when you have (freely) committed yourself to other things. It is something which I haven’t been able to do since my PhD. Even in the last year of my PhD, I could only do it out of necessity. In fact, I’ve been struggling to move away from this mode of writing since spending a year working full time at the LSE half way through my PhD. Other demands mean writing has to become more extensive, flowing beyond neatly defined periods of immersion into the gaps that inevitably spring up throughout one’s week. It is so easy to fall into simplistic dichotomies concerning a matter as intensely personal and emotionally charged as writing. Binge writing versus writing routines is one of them. It is a distinction which fails to capture the difference which matters, reducing a rich spectrum of ways in which thought and writing knit together into brute differences of scheduling. But fast and slow scholarship is another, as I’ve written about on numerous occasions. I find myself increasingly bothered by the idea that fast writing is inevitably hasty writing, as propounded by the Slow Scholarship Manifesto amongst others. It isolates the act of writing from the life of which it is part, lending a singular quality to an act which is an expression of a mode of being in the world. Fast writing can be hasty writing, much as slow writing can be tedious writing. But the relationship is not a necessary one. These dichotomies often confuse preparation, process and outputs. What is often seen as extremely fast writing (e.g. producing multiple blogs posts in an afternoon) can in fact be slow scholarship. If we dispense with the assumption of writing as teleological, orientated towards producing texts which ought to persevere and be preserved, it becomes easier to see writing as something iterative. When we write, we struggle to put things into words. Through that struggle we gain greater clarity concerning what we are trying to say. The act of writing is the crucial point in a much broader process of making sense of the world (or at least some particular aspects of it). On this view, slow writing is a recipe for a failure of intellectual development. Rather than being a reliable route towards profundity, it risks leaving one mired in intellectual immaturity because it denies a crucial mechanism through which we develop our thinking and elaborate our understanding. What happens to a thought when you put it on hold? When you suspend it and categorise it? When it goes from something which grips you in the moment, as if it were a force taking hold of you from outside? My experience has been that these moments give rise to the most profound feelings of creativity, lifting one out of the mundane realities of daily life and into the making of something. Whereas foreclosing that moment of inspiration by noting it down on a ‘to do’ list is just depressing. My argument is not that temporalities of writing aren’t significant but rather that fast and slow fail to capture what is at stake in them. It’s something I’ve been thinking about a lot recently, as I’ve realised that my writing is more yet less successful than ever. I write everyday, easily meeting a 500 word goal across my blog and book projects. It has become a reflex, something I can sit down and do with little effort. But it is sometimes too easy and I no longer struggle with ideas, as much as merely express them. The automatic quality of my daily writing has begun to undermine the reflexivity of my writing practice. I can so quickly and easily meet my quota that I don’t sit with ideas as I write them, relying on reading and thinking outside the writing window to ensure they have fermented in the way I hope. They often have. But the ease with which I tend to meet this target creates other problems, as it easily lends itself to the mentality of hitting the target on days when it would be a challenge to write immersively or expensively. It sometimes leaves me picking at low hanging fruit rather than pursuing a topic or theme because it grips me on a particular day. It often leaves me stopping at 500 words so I can move onto other things. This is when the fastness of the writing begins to undermine the slowness of the scholarship The problem is compounded by the impulse to slot writing into random windows in my life, ‘doing my 500 words’ on trains and planes, in hotel rooms and sitting on park benches. In building it into the fabric of my life, making it an unquestioned part of my daily existence, I’ve managed to devalue it. It is everywhere yet nowhere. Crucial yet never prioritised. In the last month, I’ve been thinking a lot about how I can change this, building on the work I’ve done but opening it out so writing has a more respected place in my life. What initially prompted this was the difficulty in finishing things i.e. drawing the strands together and editing them into finished pieces. But I’m realising the problem is broader than this and it’s proving an interesting issue to reflect on. I spent much of the recent Accelerated Academy talking about the limitations of the fast/slow dichotomy and my concern that the framing of our series entrenches it. To talk of the ‘accelerated academy’ implies there was once a slow(er) academy and hints that the pathologies we currently face could be overcome by reclaiming what has been lost. It is an account which invites us towards nostalgia, imagining a past which we seek to recover rather than analysing the potential for change we can find latent within our present circumstances. In fact, between myself and Filip, it seemed the fast/slow dichotomy was trashed so much that a few people seemed apologetic when they mentioned it with anything other than condemnation. So should we dispense with them entirely? Barbara Adam offered a qualified defence of dichotomies, recognising their limitations but insisting on their value as tools to think with. This resonated with me a lot, as someone prone to finding dichotomies in my own thinking yet continually struggling against them. Dichotomies anchor a terrain, laying out a space in a way which help us locate ourselves within it. But they only provide a rough sketch of that space, leaving us disorientated if we retain them as our sole reference points rather than elucidating the territory and exploring its topography. The problem with dichotomies is not so much their appearance as their persistence, their tendency to prove sticky and our ensuing difficulty in dispensing with them once they have served their original purpose. We shouldn’t banish dichotomies, as much as refuse to take them seriously past a certain point. They can be useful conversation starters and sharpening blocks for our conceptual tools. But if we mistakenly take them as a primary focus then they can fatally undermine our capacity to make sense of a world inevitably more complex than a simplistic opposition can possibly capture. Please submit short abstract (250 words) and bio to vostal@flu.cas.cz by 28 February 2018. We intend to generate an edited volume from the conference so please indicate whether you’d be interested in contributing to the volume. Funded by Czech Science Foundation, Czech Academy of Sciences (Strategie AV21) & Portuguese Science Foundation, CECS, University of Minho. In the last few years, I’ve become increasingly preoccupied with the notion of ‘the literature’ and how it is invoked by scholars. I’m now rather sceptical of the way in which many people talk about ‘the literature’ and the role it plays in scholarship. It’s not that I don’t think it’s important to identify, engage with and record the existing work that has been done on a topic you’re working on. Rather I’m concerned that the invocation of its necessity serves a disciplinary function when scholarly literature proliferates at the speed which it now does, with an estimated 28,100 journals publishing 2.5 million articles a year. The problems which those who enthusiastically invoke the importance of ‘the literature’ are concerned with, such as perpetual reinvention of the wheel and a failure to recognise relevant work taking place in adjacent fields, have such obviously structural roots that to frame the solution in terms of personal practice seems to accord almost magical powers to the intellectual discipline of individual scholars. My concern is that invoking ‘the literature’ increasingly functions as a conversation-stopper: it’s a disciplinary action which serves to curtail, though rarely halt, a line of inquiry. If we are inclined, as Richard Rorty once put, “to keep the conversation going” then we need to “protest against attempts to close off conversation by proposals for universal commensuration through the hypostatisation of some privileged set of descriptions” (377). Or in other words, we need to reject the idea that there’s only one way to talk about the topic in question. This is what the invocation of ‘the literature’ does, usually implicitly though sometimes explicitly. It implies a unified body of work which must be the reference point for scholarship on a given topic, even if the intention is to break away from it. In many cases, there’s perhaps no such unity in the first place, with its apparent coherence being underwritten by the most influential figures within the field have talked about ‘the literature’ in a way which performatively brings it into being by justifying the implication that much (potentially relevant) material exists ‘outside’. Judgements of salience aren’t written into the fabric of the knowledge system, they’re suffused with epistemic relativism: made from a particular standpoint, by a person with their own interests, reliant upon their own conceptual apparatus. Instead, behind apparent coherence, we have a complex network of citation cartels, ‘unread and unloved’ publications and influential beneficiaries of Matthew effects. Under these circumstances, our concern shouldn’t be to ensure everyone pays allegiance to ‘the literature’. We can assume this will continue to grow continuously while everyone feels compelled to write hyperactively, continually churning out publications with more hope that they are counted rather than that they are read. Instead, we should be asking how do we sustain the conversation under these circumstances? What kinds of conversations should we be having? What purposes do they serve? The well known problems of scholarly publishing mean traditional exchange in journals is becoming progressively less amenable to productive conversations, particularly across boundaries of field and discipline. How do we have conversations which serve, as Nicos Mouzelis puts it, to build bridges? To be specific, there is little satisfaction with the present status quo where the boundaries between economics, political science, sociology and anthropology have become solid blinkers preventing interdisciplinary studies of social phenomena. But such compartmentalization will not be transcended by the facile and mindless abolition of the existing division of labour between disciplines. [Instead we need] a painstaking process of theoretical labour that aims at building bridges between the various specializations. Such a strategy does not abolish social science boundaries: it simply aims at transforming them from impregnable bulwarks to transmission belts facilitating interdisciplinary research … what is badly needed today are more systematic efforts towards the creation of a theoretical discourse that would be able to translate the language of one discipline into that of another. Such an interdisciplinary language would not only facilitate communication among the social science disciplines, it would also make it possible to incorporate effectively into the social sciences insights achieved in philosophy, psychoanalysis or semiotics. A large part of my enthusiasm for social media comes from the possibilities it offers for having these kinds of conversations. But trying to resolve the problems of the accelerated academy through an invocation of the need for disciplined practice is taking us in the wrong direction. There’s a powerful counter-argument that can be found here by Patrick Dunleavy, concerning the importance of citation. I want to think carefully about this but my instinct would be to add two additional columns: “how scholarly abundance complicates this role” and “how might this lead us to change practice“. Some two years ago the two of us started discussing Hartmut Rosa’s theory of social acceleration and how it manifests in the present condition. Though we found his theory fascinating and provocative we also noted important conceptual and empirical problems with his account, namely the incomplete notion of agency in his conceptual scheme and Rosa’s overall tendency of treating acceleration as some sort of a sweeping mega-force colonising human lifeworld in its entirety and irreducible complexity. We were compelled to explore such Rosa’s theory and intuitively felt that not only individuals might step back and reflect upon accelerating modernity, but also that many embrace it without necssarily associating it with neither capitalist forces nor with what is now labelled as ‘accelerationism’. We begun thus to think about acceleration in a more nuanced way and concentrated on our own environment – the academy. For both us the phrase ‘accelerated academy’ signifies a research trajectory, one we’re pursuing collectively but also through our own independent projects. Filip’s research concern encompass sociology of time and specifically then ‘hidden rhythms’ in and of academia. In his current project he examines the causes and manifestations of temporal pressure in the lives of scientists in the Czech Republic and its personal and epistemic consequences. Focusing on theoretical, experimental and applied physics he and his colleagues investigate what ‘lost time’ means for scientists and how scientific institutions ‘trade’ (with) time. Mark’s particular interest is in digital technology within the university, particularly the implications of social media for the future of intellectual life. Too often framed in terms of the personal gains to be accrued for individual careers, the full significance of social media has often been missed. This encompasses positive dimensions (such as new forms of solidarity and new capacities for political mobilisation) as well as more negative ones, such as the intensification of labour and the possibilities for expanded surveillance by university managers. Building on his book Social Media for Academics, his current project seeks to develop a broader theoretical framework within which the digitalisation of the university can be understood. But we also saw ‘accelerated academy’ as an assembly device, a provocative way of bringing together researchers from different disciplines and traditions in order to find new ways of understanding and intervening in the transformations going on around us. This could be seen in the diversity of the participants at last year’s conference in Prague, encompassing scholars of education, time, political economy, labour, science, organisations and metrics as well as natural scientists. But it could also be found in the sheer range and quality of the papers themselves, as well as the dialogues they gave rise to before, during and after the event itself. The phrase has indeed seemed to resonate with many. There is an apparently pervasive sense in the contemporary scientific world that things are speeding-up incessantly – scientists report chronic busyness, psychological discomfort, anxieties and insufficient time for research-related activities. They are expected to publish more papers, read more texts, meet strict deadlines, ‘fundraise’, engage in science administration, press ahead. Similarly as the Red Queen in Lewis Carroll’s Through the Looking-Glass it seems that scientists simply need to run ever-faster but only remain where they are. This widespread experience in the contemporary academy needs to be nonetheless contextualised with rapid other important trends in science organisation, administration, evaluation and culture. However, we also note that recent propositions offered by slow science movement and similar initiatives are rather problematic and that acceleration in/of academic life cannot be reduced solely to the aforementioned pathologies and differs significantly across disciplines, institutions and national contexts. We hope that the ‘accelerated academy’ can continue to be a useful device to facilitate interdisciplinary conversations about the transformation of the university. Ones that link the psychological and the social, connect technical systems to lived experience and couple a critique of managerial power with an analysis of how the affectivity and concerns of academics leave them entangled and sometimes complicit within these power structures. In September this year Milena Kremakova organised one-day symposium on acceleration and anxiety in academic life. The papers and discussion addressed how contemporary ‘accelerated academy’ induces anxiety environment and how careers, working lives and identities of scholars and academic institutions are affected. We’re hoping to have one or even two events in the UK next year, subject to success with funding. Hopefully there can be further events beyond this and we can sustain these conversations on an ongoing basis. This isn’t solely a matter of face to face meetings. We are extending last year’s series of blog posts on the popular LSE Impact Blog and we’re inviting everyone here to contribute to these discussions. There are many podcasts and videocasts from last year’s conference, hosted on The Sociological Review’s website. We’re hoping that the Accelerated Academy website and Twitter feed can provide a platform for further projects and events going forward, using the affordances of social media to facilitate ‘accelerated’ conversations in the best sense of the term. Some notes on Gary Hall’s Pirate Philosophy, a book I found more thought-provoking than any I’d read in some time. The podcast above is an interview I recorded with him a couple of months ago. The forgetfulness of technology which critics like Stiegler argue afflicts contemporary thought also applies to the narrower world in which such criticisms are made. Theorists and philosophers, as well as academics as a whole, have “forgotten and repressed the technologies by which their own work is not only produced, published and distributed but also commodified and privatised (not to mention controlled, homogenised, and standardised) by for-profit companies operating as part of the cultural industries” (p. 12). This forgetfulness could, I suggest, be read as a corollary of what Bourdieu called skholḗ, the condition of distance from the world, an escape from it necessary in order to think it. If the conditions for skholḗ are being systematically undermined within the accelerated academy, an orientation to systems of production, circulation and engagement represents a central vector of reengagement with the world. We need criticality rather than paranoia, to invoke Sasha Roseneil’s useful distinction, with Hall’s theoretical commitments often inclining him to the former register rather than the latter. Criticality in this sense entails a practical “emphasis on the potentiality of the present, in all the complexities of our implication in its creation and re-creation” in contrast to a register of paranoia in which analysis is inflected through the sensation that things are bad and getting worse. As I understand the notion of paranoia here, it reflects a fundamental intolerance of ambiguity and ambivalence. What is at stake is recognise the positive and negative inherent in our condition, holding both in the same frame while looking towards the potentiality of the present and the ameliorative possibility latent within it for our collective future. This leads us to construct a world of perpetual co-option and insidious normalisation, with regression and retrenchment lurking behind every putative gain. My claim is not that Hall falls into this, the enormous array of innovative and practical projects he’s collaborated on reveals this not to be true, but rather that his analysis does. The way Hall critiques what he sees as “philosophical complacency and thoughtlessness” in reengagements with these systems, characterised by “predefined – and sometimes only superficially understood – ideas of copyleft, Creative Commons, open access, and open source and of the differences between them” (p. 12-13) seems unfair to me. He recognises the performative contradiction in making such a critique within a physical book published by a university press. Yet this contradiction seems tellingly under-theorised, a tension that remains on the level of the singular individual to be recuperated through piratical acts of surreptitious open distribution, rather than something which informs the overarching account of the place of the academic as cultural producer within the digital university. These faltering, perhaps thoughtless, steps towards a reengagement with the world reveal the entanglement of these figures within precisely the same systems that he (and myself) operate within. I want to theorise degrees of entanglement, ranges of co-option, which I think remains impossible unless we draw on other conceptual resources. These systems of production, circulation and engagement have individualism encoded into them. Hall resists “a theory that could be too easily sold, blogged, and tweeted about as my original work, intellectual property, or trademark” which would serve to “reinforce my own expertise and position in the academic marketplace, and thereby gain advance in the struggle for attention, recognition, fame, authority, and disciplinary power” (p. 19). But there’s an suppressed voluntarism implicit within this, as if the ascription of authorship reflects nothing more than the aspirations of an individual to claim that authorship, rather than being a systemic feature of the digital university. This can be evaded, but it can’t be avoided. Reclaiming this agency serves a crucial analytical function if we are to explain how “the requirement to have visibility, to show up in the metrics, to be measurable, encourages researchers to publish as much and as frequently as they can” (p. 30). But we need to reintroduce the agency of others at the same time as reinscribing our agency in the analysis. Not in the sense of the liberal individual, but rather as the quotidian subject. The living, sleeping, hoping, dreaming, embodied person who gets up every day and sometimes gets bored. This is the agency which academics are often so blind to, the person who performs an occupational role within an organisation, an employee in relation to employers, whose relationality extends far beyond the job they take too seriously. Claiming we should avoid paranoia should not license naïveté. There are hugely important questions we need to ask about digital capitalism’s transformation of the university, see for instance Hall’s discussion on page 34-37. My point is that we should be precise about the mechanisms through which their influence operates, the implications for scholarly practice and the transformations taking place. No one account can do everything, but even if we’re remaining at a certain level of abstraction, we should try and lay the groundwork in a way amenable to future investigation. My claim is that the largely absent agents within Hall’s account leaves technological change framed as an intrusion from ‘outside’, engendering a tendency to slip into the register of paranoia. This tendency is one that engaging with Jana Bacevic’s work has left me newly aware of. Academic authority is undergoing a profound change within the digital university. The image of the lone scholar motivated by a “desire for pre-eminance, authority, and disciplinary power” (a quote from Stanley Fish) who seeks to “make an argument so forceful and masterly it is difficult for others not to concur” (p. 58) seems obviously antiquated. Yet the academic scene is dominated by over-producing figures who have come to represent brands in their own right. We’ve seen a transition from authority grounded in mastery to authority grounded in dominating the attention space. My point is not to suggest the former was a simple matter of intellectual merit, far from it, rather a transition from authority being a matter of meeting socio-epistemic criteria to authority being a matter of socio-epistemic efficacy. Nonetheless, as Hall points out on page 64, the book lingers on as something which grounds this authority. Could the book be seen as a transitional object, to which academics feel a fetishistic attraction, while we make a transition from the ‘Gutenberg Galaxy to the Facebook Universe’ as Hall put it in the interview? It is embarrassing to remember that some of us – at least initially – thought that ‘impact’ promised the possibility of institutional recognition for public sociology. Might the emphasis on relevance and engagement create a ‘public agora’ for sociological ideas of the kind described by Helga Nowotny and her colleagues? The original passion for social justice, economic equality, human rights, sustainable environment, political freedom or simply a better world, that drew so many of us to sociology, is channeled into the pursuit of academic credentials. Progress becomes a battery of disciplinary techniques—standardized courses, validated reading lists, bureaucratic ranking intensive examinations, literature reviews, tailored dissertations, refereed publications, the all-mighty CV, the job search, the tenure file, and then policing one’s colleagues and successors to make sure we all march in step. Still, despite the normalizing pressures of careers, the originating moral impetus is rarely vanquished, the sociological spirit cannot be extinguished so easily. There is a research version of this kind of narrative. You know them too I’m sure. The researcher/lecturer/professional rides into town – usually this is an impoverished neighbouhood/really dumb class/group of people/ hopeless policy agenda. Through the process of intervention/teaching/participatory or action research/evaluation the impoverished neighbouhood/really dumb class/group of people floundering around/hopeless policy agenda becomes improved/enlightened/empowered/transformed. Work done, the researcher/lecturer/professional simply has to write the paper and ride out of town. These stories create a rather dangerous division between the hero/heroine and the saved. The hero/heroine knows and can do everything, and can do no wrong. Those to be saved know/can do nothing and are destined for a hopeless future until the hero/heroine shows up. I realise this is more narratology than poetics but these perhaps constitute two distinct phases of an investigation. What are the structures of stories about impact? What do they share and how do they differ? What rhetorical devices are used in these stories? What linguistic techniques are used in talk about impact more broadly? You have a responsibility to tax payers to ensure your research is put to use. You have a responsibility to knowledge to ensure your research leaves academic silos. You have a responsibility to society to ensure your research makes a difference. At an event in Belgium at the start of December, I saw a senior figure in the UK impact community explain that academics who claimed not to ‘get it’ should be “ashamed of themselves”. The expression varies in its tenor and force but it’s usually there. But this is accompanied by a pragmatism with a similar range. From mild claims that being engaged will make you a better scholar, up to outright threats that you’ll be left behind and won’t be able to survive in the new academy unless you develop your impact skills. When I raised this on Twitter, Penny Andrews made the fascinating suggestion that this oscillation between carrot and stick resembled a religious sermon in its tone. I think there’s a fascinating project which could be undertaken exploring this comparison at the level of the texts, as well as detailing the poetics and narratology of impact discourse* and situating them within an account of the accelerated academy. *I don’t feel the slightest bit capable of doing this with a sufficient level of sophistication, but if anyone wants to collaborate please get in touch! Does the situation of skholḗ still obtain in the accelerated academy? This is what Bourdieu described as “the free time, freed from the urgencies of the world, that allows a free and liberated relation to those urgencies and to the world” (p. 1). This condition was always unevenly distributed, its ubiquity apparent only relative to one’s own elite status within similarly elite institutions, allowing practicalities in here to pass unnoticed and those out there in other institutions to evade recognition. The organisational sociology of skholḗ seems implausible, suggesting the distance is between the institution and the outside world, rather than within the institution itself. There are many changes in the university which have undermined the experienced situation of skholḗ but the one which interests me most is automation. In so far as support staff have been replaced by digital technology, meeting the practical demands of professors now entails their own participation in what Craig Lambert calls ‘shadow work’ (i.e engaging with automated systems) rather than delegation to those within the institution whose role it is to handle practicalities. I’m still relatively new to Bourdieu’s work on universities but thus far, it’s hard to avoid the impression that he sees universities as exclusively populated by ‘professors’ and ‘students’ (see for example p. 41). 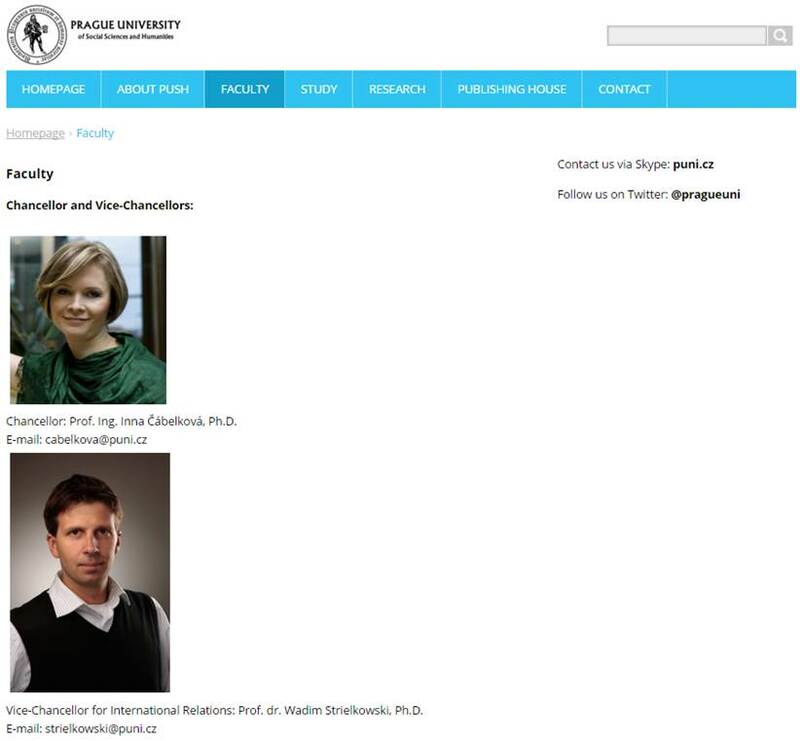 If the scholarly vocation involves a form of learned ignorance, in which “base calculations of careerist ambition” are systematically excluded, scholarly blogs and tweets which address professional issues become a crucial site of struggle over shared identity. The lived frustrations of pluralistic ignorance, as well as the more mundane challenge of what to tweet/blog about and the fact this generates traffic, generates a tendency for academics to blog about their own practice. This reclamation of scholarly craft must proceed within strict boundaries, lest it be accused of advocating careerism. I was fascinated by someone who felt the need to comment on sociological imagination that they found some career advice I linked to ‘disgusting’ because it represented the ‘neoliberal subject’. The discursive tendencies of academics who have taken to social media represent a challenge to the disavowal of the practical which, argues Bourdieu, should be seen as partly constitutive of the scholarly field. But perhaps this represents a form of “making explicit what ordinarily remains implicit” (p. 37) which opens up the professional socialisation process to those excluded from it. Are we seeing the emergence of an organic reflexive sociology of the digital university? It seems to me that we are but we should add a crucial caveat about its organic character. It necessarily reproduces the illusio of its players, with even the most sophisticated accounts taking the stakes of the academic game as a given. This is why arguments about ‘careerism’ and the coverage of ‘ex-academics’ prove so richly divisive. This is when the stakes of the game are seen to be susceptible to challenge, even by those who are party to them, opening up contrasting possibilities that this is just a game that we are playing and furthermore it is a game that we can elect to leave. This mechanism produces systematic blindspots, leading what might otherwise be communally empowering reflections on shared conditions into meandering and myopic alleys which permit of little practical development. There are cultural forms which circulate successfully under these conditions which it is valuable to critique on this basis e.g. the slow professor. The politics of advice in academic social media are complex and little scrutinised. Social media can prove alluring for the scholar because of the “excessive confidence in the powers of language” which plague them (p. 2). It offers an imaginative recuperation of the “apartness from the world of production” that is experienced as “both a liberatory break and a disconnection, a potentially crippling separation” (p. 15). The combination of a vaguely defined audience on to which one can project and architecture of platforms which encourage contention provides a perfect forum in which those who “regard an academic commentary as a political act or the critique of texts as a feat of resistance, and experiencer revolutions in the order of words as radical revolutions in the order of things” can act out their political ambitions on a safe and inconsequential stage of their own making (p. 2). Until perhaps they confront those from adjacent fields, their movements similarly inflected through comparable processes of digitalisation. What happens when scholars meet journalists? What happens when they meet policy makers? What happens when they meet their own students? What happens when they meet ‘trolls’? How do these increasingly everyday encounters provide opportunities for the reproduction or transformation of their investment in the scholarly field? The sociology of such boundary encounters is much more complex than tends to be acknowledged. What seems clear to me is that accounts of social media as democratising the academy in relation to wider society fail to capture what is going on here. I know you will agree that you should present your work in as clear and simple language as your subject and your thought about it permit. But as you may have noticed, a turgid and polysyllabic prose does seem to prevail in the social sciences … Such lack of ready intelligibility, I believe, usually has little or nothing to do with the complexity of subject matter, and nothing at all with profundity of thought. It has to do almost entirely with certain confusions of the academic writer about his own status. I’m fascinated by what sociological writing can reveal because of where it sits at the intersection between sociologists, sociology, higher education and the wider world. In such writing we find an (often unintended) disclosure of sociologists, the discipline they have been socialised into, its status within the wider academy and their conditions of labour within it. All while purporting to be an examination of the world ‘out there’. In fact, it’s through concern for how we can produce knowledge of this world, as well as put it to work in changing that world, that it becomes imperative to address writing in a diagnostic mode. How does actually existing sociological writing impede knowledge production? Can we strive to ameliorate these pernicious effects? As Andrew Sayer has put it, the alienated writing of social scientists reflects their own alienation. In addressing one, we unavoidably encounter the other. The trouble is that the specialists do not handle their big nouns with care, but they rush to use them, knocking over verbs in their haste and barging other parts of speech out of the way. In their rush, they fail to tie the big words firmly to the grounds of human actions, leave them flapping loosely, but flamboyantly, in the wind. There is something very old-fashioned about Foucault’s lectures to the Collège de France. It is not just that he cites obscure writers from the early modern period and that he presents no ‘literature reviews’, in which he positions his own work in relation to the approaches of his contemporaries. His lectures were lectures: he did not seem eager to rush them into print to boost his tally of publications. Nor did he place key lectures –such as that on ‘governmentality’ –in influential sociological journals. Instead, he addressed his audience directly. And most importantly, he addressed them as individuals, who might be interested in his ideas, rather than as potential academic producers whom he wishes to recruit to a new mode of enquiry. In this regard, Foucault was not a Foucauldian, spreading the Foucauldian message and seeking to promote a Foucauldian subdiscipline. It reminded of David Graeber’s argument about the dead zones of the imagination in higher education. Has rampant scholasticism coupled with inane managerialism destroyed the conditions under which the objects of that scholastic zeal were able to thrive? The explosion of paperwork, in turn, is a direct result of the introduction of corporate management techniques, which are always justified as ways of increasing efficiency, by introducing competition at every level. What these management techniques invariably end up meaning in practice is that everyone winds up spending most of their time trying to sell each other things: grant proposals; book proposals; assessments of our students’ job and grant applications; assessments of our colleagues; prospectuses for new interdisciplinary majors, institutes, conference workshops, and universities themselves, which have now become brands to be marketed to prospective students or contributors. Marketing and PR thus come to engulf every aspect of university life. The result is a sea of documents about the fostering of “imagination” and “creativity,” set in an environment that might as well have been designed to strangle any actual manifestations of imagination and creativity in the cradle. I am not a scientist. I work in social theory. But I have seen the results in my own field of endeavour. No major new works of social theory have emerged in the United States in the last thirty years. We have, instead, been largely reduced to the equivalent of Medieval scholastics, scribbling endless annotations on French theory from the 1970s, despite the guilty awareness that if contemporary incarnations of Gilles Deleuze, Michel Foucault, or even Pierre Bourdieu were to appear in the U.S. academy, they would be unlikely to even make it through grad school, and if they somehow did make it, they would almost certainly be denied tenure. Status insecurity of social scientists, particularly vis-a-vis natural scientists. The time pressures of the accelerated academy and increasing tempos of expected publication. Competition in the academic labour market and the imperative to achieve security through publication. Managerialism and metricisation creating an organisational environment within which marketing and PR have engulfed even scholarship. I’m not trying to write about a category. I’m trying to write about the people who occupy that category. The living, breath, hoping, despairing, finite beings for whom ‘academic’ is one social role amongst others occupied in their lives. Furthermore, within the confines of that role, they might aspire to ‘scholar’ and feel constrained by the realities of the organisations within which they work. Writing offers an interesting route into ‘the scholar’. A way to diagnose what troubles them so. Another way of exploring the ‘deep somatic crisis’ that critics like Roger Burrows and Ros Gill have claimed afflicts the contemporary academy. But this is a much bigger project than one blog post can contain.